The metal framework of this deluxe chandelier table lamp features curling flourishes that drip with faceted jewels. 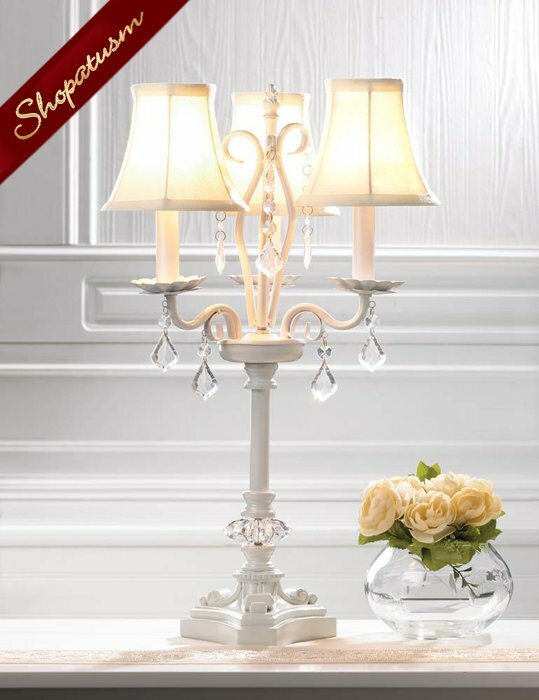 A lovely touch of luxury and refinement for your romantic space. Each shade is 5.25" x 5.25" x 4.75" high. Requires three 15 watt type C light bulbs not included. Polyresin, Iron, Acrylic and fabric shade. Measurements: 13" x 13" x 21" High. Weight: 4 pounds.